Grant Stern is a professional mortgage broker, radio broadcaster and columnist based in Miami, Florida. Can Twitter Curb Growing Black Market for Fake Followers After IPO? Is your social media professional the real deal? There's a dark secret amongst social media pros, and you're not going to like this. The purchase and use of fake followers by small to mid-sized social media agencies is rising as a "black hat" tactic on Twitter, which released its IPO on Wall Street today. A few truly unscrupulous agencies substitute audience building altogether in favor of brokering cheap fake followers to unsuspecting buyers at high prices. Social media use has grown rapidly since MySpace was founded in 2003. What started as a way for teens to make personalized web pages has blossomed into a worldwide phenomenon redefining the way people communicate. The social media industry is rising from the ashes of traditional media buying. The transition has amplified the importance of statistics and quantifiable data in the way businesses advertise and market their services. 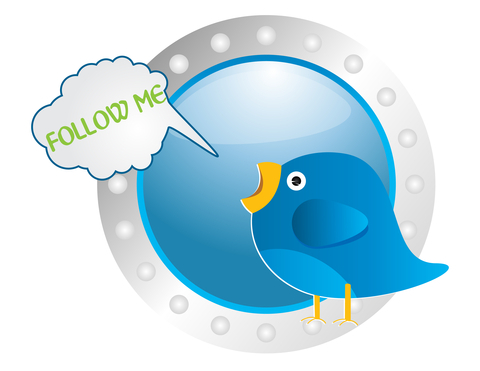 On Twitter, a commonly acceptable account-building tactic is seeking return follows by mass following existing users - each time one user follows another a notification email is sent. In theory these emails encourage those who're followed to follow back. The fake follower buyer circumvents Twitter's follower ratio caps created to prevent abuse. Some critics even argue that fake followers help attract an audience for otherwise uninteresting brands by encouraging "me too" follows. The first metric most people use to gauge a social media user or firm's reach is number of Twitter followers or Facebook Fans. Its natural to think that a social media account's value starts with the size of the audience. Entrepreneurs around the globe took notice, and companies that sell fake followers advertise their wares openly. Firms selling Fake Followers often violate the user agreements of the major social media networks to create and manage thousands of zombie accounts. Fake accounts often use photos of scantily clad women, sequentially numbered account names with bios claiming to be coffee experts. These fake accounts are registered in Russia, Nigeria, China, India, and other distant countries. Fake accounts do not represent a real human audience, just a fake body count - a Twitter equivalent of The Walking Dead. What can a marketer or business professional do when evaluating an agency or guru offering social media services? London based social media management firm Status People has created a tool called "Fake People". "Fake People" can parse up to 100,000 followers and determine what percentage is real, fake and inactive. A typical Twitter account with real followers averages between 1-4 percent fake followers. I've seen larger accounts with up to 10 percent fake followers. Anything above 10 percent is a clear indication that Fake Followers have been purchased. Truly large accounts, like Justin Bieber or Barack Obama tend to be north of the 10 percent fake figure because they're being suggested to every new user in the first 10 followers - as detailed in this Huffington Post Tech report last year. "Fake People" gives a result for the percentage inactive followers on any given account too. Nearly 40 percent of Twitter accounts do not tweet, but are reading tweets, according to Statistic Brain's recent article. Obviously, any twitter account with greater than 40 percent inactive followers should be regarded as suspect. Alex de Carvalho is a Regional Director for Constant Contact and founder of Social Media Club South Florida. Alex is also a sought after speaker on social media topics around the globe. (Mr. de Carvalho's twitter account rates 1 percent fake followers out of over 28,000). Alex's opinion is that the value of followers lies in their interaction with the accounts they follow - and not just when replying or in discussion, but as a reading audience. He suggests TwitterAudit.com as another site to guage the authenticity of a twitter account's audience. An Audit score under 85 percent in TwitterAudit strongly indicates a fake follower purchase has been used. Some social media firms go far beyond these claims, into the realm of acquiring fake followers for their client's account. Their primary service may be the acquisition of fake followers for client accounts. If you've discovered that the firm you hired to build audiences, instead brokers cheap fake follower accounts with a hefty price mark-up, it could be time to consult with an attorney about your rights. Here's a short Q&A with Andrew Hinkes, Esq., author of the ediscoveryreporter.com blog and practicing civil attorney at the Law Firm of Berger Singerman, LLP. Q: Are there any laws that might protect a buyer of social media marketing services if they pay for legitimate marketing services and instead get fake followers? A: If you think your agency improperly purchased fake followers for your brand, you should look at your agreement and see exactly what services you purchased. If the agency agreed not to buy fake followers but did it anyway, you may be able to sue for breach of contract, although it may be difficult to prove that your brand was damaged by the fake followers. Q: What if your agreement does not address fake followers? A: Deceptive and Unfair Trade Practices ("DUTPA") consumer protection statutes provide relief for deceptive acts affecting commerce. These DUTPA laws may allow a claim for the damage caused by fake followers where your agreement with the agency was vague or did not directly address fake followers. Q: If you suspect your social media marketing agency of buying fake followers without disclosing that they intend to do so, when is it appropriate to seek counsel? To most small business owners, claiming the ability to amplify a client firm's message to an agency's built in audience of live followers implies an audience on the other end. "Social media cheaters approach businesses pitching their ten thousand followers as a source of power. The power comes from the promise of "amplification," said Jane Muir, a civil attorney at the law firm of Gersten & Muir. "If you were told by a consultant that their followers would drive you business and it didn't work, then you may have been the victim of a fraud." Social media accounts loaded with fake followers defeat the purpose using social media to publish messages to a global audience. Before hiring a firm to manage social media presence, a little homework can save a lot of heartbreak. After a Pre-IPO purge, Twitter claims only 5 percent of all accounts are fake. Now that Twitter is going to be a public company, they'll have to find profitability, and new ways to discourage fakers and their fake followers from spoiling the party.